Bugwater is that soggy place inhabited by creepy, crawly, hopping, flying, wriggling creatures we call, if imprecisely, bugs. 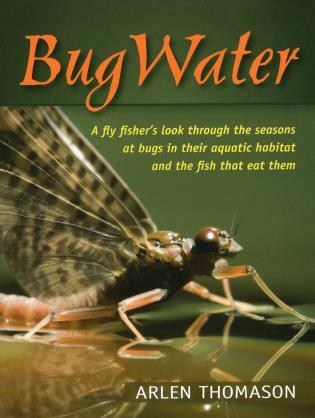 Organized around the seasons, BugWater follows the bugs and the trout through their life cycles from spring through winter. Thomason's stunningly striking photos and fascinating narratives show off the bugs up close, in amazing detail. With the author's insights as both a scientist and fly fisher and his expertise as a photographer, this book delivers solid content all fly fisher's can learn from.